← Michelle Saves a Toddler From the Middle of a Busy Highway! With God Raza & Daijon Succeed! Two young men forced to the street. Challenged to respond and work. With God’s motivation and blessing, they succeed, learning responsibility, putting God first and other lessons. Webster defines the word, “success” as, “an event that accomplishes its intended purpose.” How sweet it is when a person you’re relating with and teaching succeeds – accomplishing the intended purpose. Raza and Daijon (not their real names) are two Karamojong brothers I met one particular Saturday outside of Masese III slum while Michelle was assisting in leading a community Bible study in Masese. Raza is 19 and Daijon is 18. 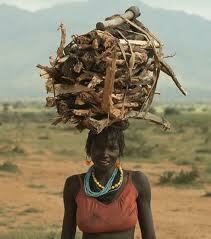 Karamojong Woman – no copyright found. be uncivilized, primitive, obstinate and fierce as evidenced by their cattle rustling, primitive conditions, solving conflicts with force and perhaps even the long-standing tribal tradition of achieving manhood and marriage by the young male taking on his desired bride in a wrestling match. If he wins, he achieves manhood and the opportunity to enter into dowry negotiations with the female’s father. If he loses, it is said he marries a person outside the K’jong tribe. Because of these traits, practices and other issues, there is a well-known Ugandan saying, which was uttered by the first president of Uganda in the 1960’s, which set the tone for how Ugandans view the K’jong. The saying goes like this, “We shall not wait for the Karamojong to develop.” Thus Ugandans separated and excluded or “cast out” these tribal peoples from the rest of Ugandan society. Even in Christian churches in Uganda, derogatory comments can be heard about K’jong. These two brothers I met on a Saturday about seven months ago had traveled with their parents in 2000 to the big town of Jinja from northeastern Uganda, seeking to break out of village life and seeking an education and improved living. Eight years later, and little progress, the boys’ parents died of disease. Life was difficult, and at 13 and 12 years old the boys shifted to their grandmother’s care. Education had been paid by the parents. Now education would be even more of a challenge. Public education for Ugandans is not cheap. The average income of a Ugandan is $500 per year. A school year consists of three terms, and the parents or children are expected to pay school fees of $80 – $150 per child per term, or $240 – $450 per child per year. When I met Raza and Daijon around October of 2013 they had been out of school for a few years – no funds. They had completed the US equivalent of freshmen in high school. On the Saturdays we were able to meet I spent some time with the brothers challenging them, asking about their faith and home life. They seemed spiritually connected to Jesus, at least for teenage boys. Then at Christmas break the grandmother decided to return with the boys to the village in northern Uganda, basically to return for the remainder of her life. Raza and Daijon were taken to the village and then just before school started in Jinja they were sent back to stay with another family. After getting some assistance they started their sophomore year (Senior 2) in January of this year. I started meeting again with these two once their first school term finished. The last day of April, I received a phone call from Daijon. I could tell something wasn’t right. He only asked me if I would be at Masese on Saturday. I assured him I would. The next night I got a phone call from Daijon telling me he and Raza had nowhere to stay. They had been “chased from the house where they were staying” and now were sleeping outside for the night. I sympathized with him and talked to my teammate, Jeremy who has worked in Masese for five years. He suggested since they were of age (18 is an adult in Uganda), they needed to come up with a plan to get off the street. Jeremy prayed with me that things would work out and that God would lead. So early Saturday evening I took Jeremy’s advice and prayed with Raza and Daijon. Then asked them what their plan was as the sun was just starting to set on the horizon. Their plan was simple – for me to find them a place to stay. Although I did feel some responsibility, I was determined to take the more challenging road and put the problem back to them. So I asked them what they thought God wanted them to do. The typical teenage response followed, shrugged shoulder and a “no idea” kind of look. So we started talking and I helped them walk through their options – some I had come up with prior to the conversation. At the end of the discussion, the options were not so encouraging. They either return to the village in the north (and I would pay their transport) or they start the task of working for a living, perhaps buying and re-selling food or other items here in Jinja. They did not want to return to the village. So I gave each of them the equivalent of $4.00 US and told them I expected when I showed up the following Saturday that they will have added to the $4.00 (10,000 shillings), not just spent it. I illustrated what I was doing by explaining Jesus’ parable of the talents and how the workers were to bring back an increase. They said they understood. We also prayed that the woman who was housing them (who chased them away) would have her heart soften and let them back in. These two young men said she would not soften her heart, but I encouraged them to pray and seek God. When I returned yesterday (Saturday), Raza showed up. Normally when he sees me he always smiles, and yesterday was no different. He’s the quiet one of the two. Daijon talks constantly. I asked how this past week went. He was happy to report that the lady let them back in! This woman has no legal responsibility to these boys that I know. Plus these two young men are adults. This really surprised me, but then again, we had prayed about it. Raza said he had taken his 10,000 shillings, went to Jinja and bought two small chickens for 5,000 shillings each. He returned to his community and sold them for 7,000 shillings each. He had 14,000 shillings in his pocket, which he showed me after I asked to see it. The confidence on Raza’s face was clear. I was thrilled. I shared with Raza how to set aside the money he has for capital, use it to buy more chickens or other items he can sell and how to use his profits, including taking part of the profit and giving it to others in need, as God commands us to do. We talked about schooling the remainder of the year and I asked Raza if it were possible would he want the funds for school to go toward his business or toward schooling. I fully expected him to say he would prefer the money for business, but he didn’t. He wants to complete his education and is concerned he will not finish it. 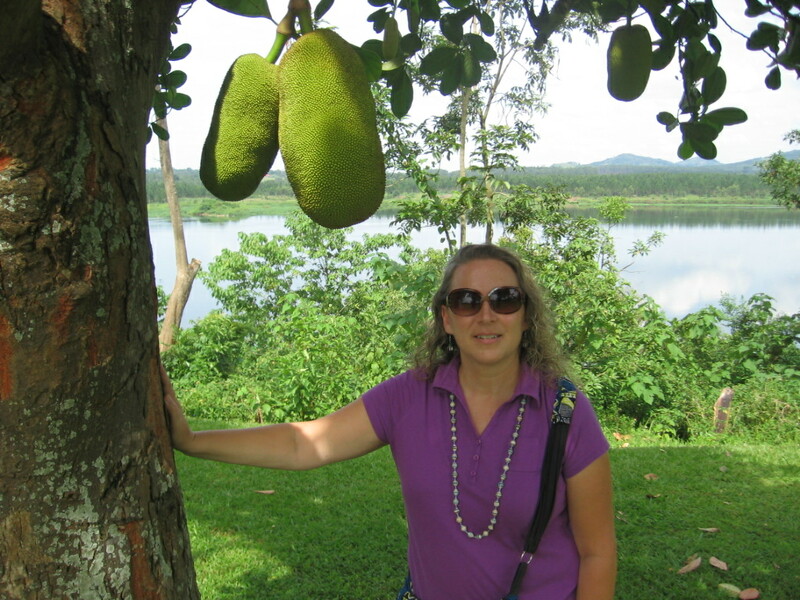 Michelle at a Jack Fruit tree on the Nile River. Daijon did not make the meeting. He thought since it had rained earlier in the day I would not come. 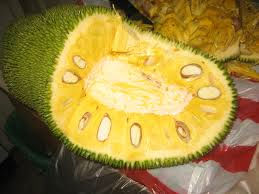 But I found today (Sunday) when I called Daijon that he had bought four jack fruit (see photo) for 10,000 shillings and sold each for 500 shillings profit, a gain of 2,000 shillings. 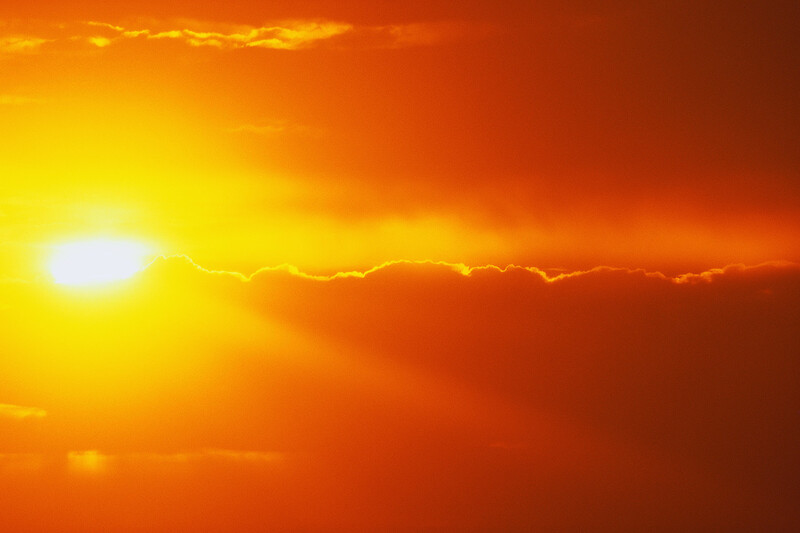 prayer of thanksgiving to God and asked God to continue encouraging them. I hope this success will be an encouragement to them to work and not respond like so many do in the slum to feel defeated and oppressed. If you feel led by God to contribute to Raza and Daijon’s schooling for this year so they can finish their sophomore year, they will need 200,000 shillings (about $80 US) each for two terms (or $320 US total). You can send the money to Equip and earmark for Wise ministry funds. Thanks for your prayers for these guys. Update 5/17/2014: I was able to talk to both Raza and Daijon this evening. Raza bought more chickens and sold them, although he said the supplier raised the price by 1,000 shillings each, cutting into his profit. I advised him on how to handle that. Daijon made another 3,000 shillings this week selling jack fruit. Raza was so happy. He is really encouraged. And I am, too. Praise God! Also, I have a letter from him I hope to scan and post in the near future. What a great story, Mark! Thanks so much for sharing. I’m going to share this with the benevolence team.. Thanks Margaret for reading. I’m encouraged that it was helpful. If God Exists, Why is There Suffering & Evil? Michelle Saves a Toddler From the Middle of a Busy Highway!